I love it when a new product comes to market and it’s good. I mean, isn’t it great when you can just say nice things about something. There’s no need to equivocate about whether or not you would recommend it or buy it, you can just say yes. A few weeks ago Stephan Berg and Alex Hauck from The Bitter Truth stopped by Seattle on the last stop of their weeks long trek across the USA. 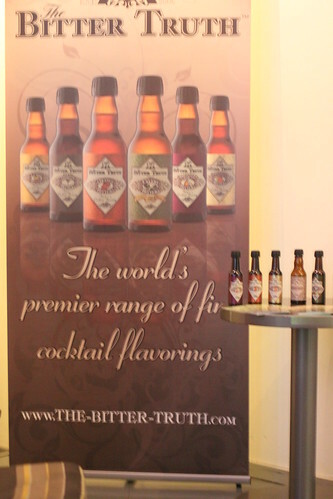 As part of that road show we were able to sample their new Creole Bitters which will soon be available here. It’s a great complement to the rest of their line of products. 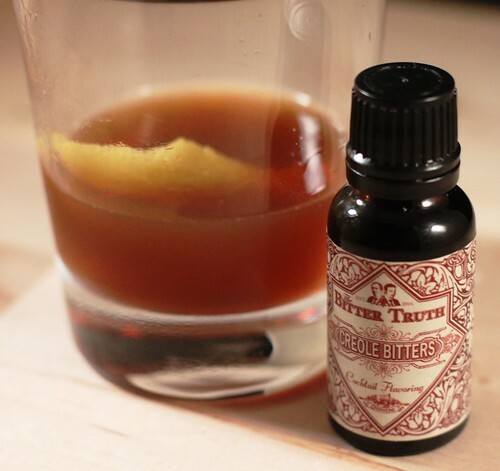 In truth it is most similar to Peychaud’s Bitters for a frame of reference. 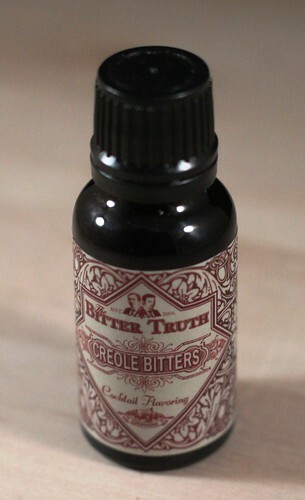 While it is in the same style, the Creole Bitters is spicier and less sweet to my taste. For lack of better there is more pucker to the Creole versus Peychaud’s. I also think that it is full flavoured enough that you do not necessarily need to blend Angostura into a drink as is often desirable. I think that there is nothing more expressive of a spirit and a bitter than an Old-Fashioned. So, for this my first outing with the Creole Bitters I whipped one up at home and opted for a lemon twist to get just a bit more zing. It was in a word, lovely. The spice perfectly complemented rye and played so well, nice and dry, no extraneous sweetness to get in the way. The less sweet quality of the Creole Bitters really let me control how much sugar I introduced into my beverage, letting me really tailor this to my taste, and affording anyone the same level of control. I do have to admit to being a bit of a control freak when it come to as essential and stripped down a drink as an Old-Fashioned. I have very specific ideas, that’s just me. Regardless though, these bitters are going to be a winner, and we can all have fun playing with them soon. 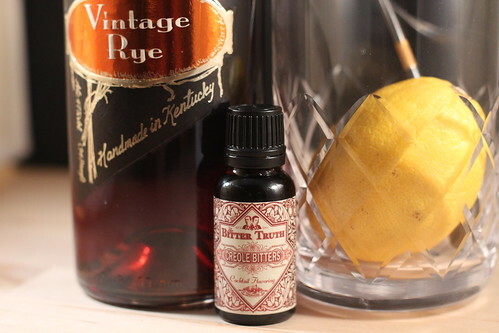 Pulverize one lemon twist lightly in the bottom of your mixing glass and discard, add ice, and rye, simple, and bitters. Stir, pour, garnish with the other twist. Lean back and enjoy, a lot.